Still feeling the heat, or have a concert on the beach in mind? 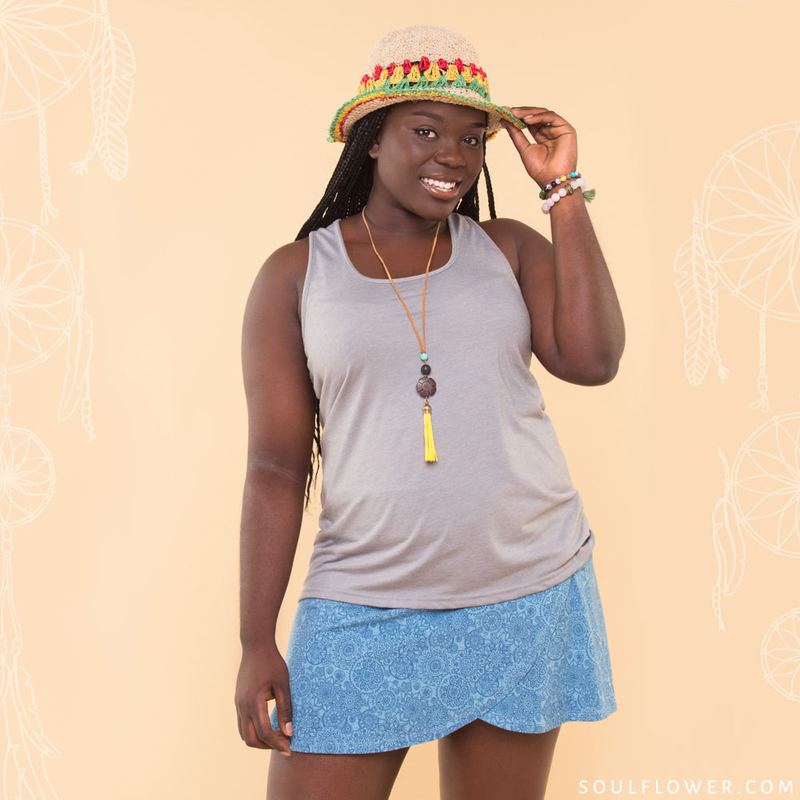 Pair our new yoga tanks with a festival wrap skirt, and don’t forget a hat & jewelry to make the outfit complete! Feeling like tie-dye, patchwork and a groovy headband? Then start with a basic tank and layer on the hippie that speaks to you. 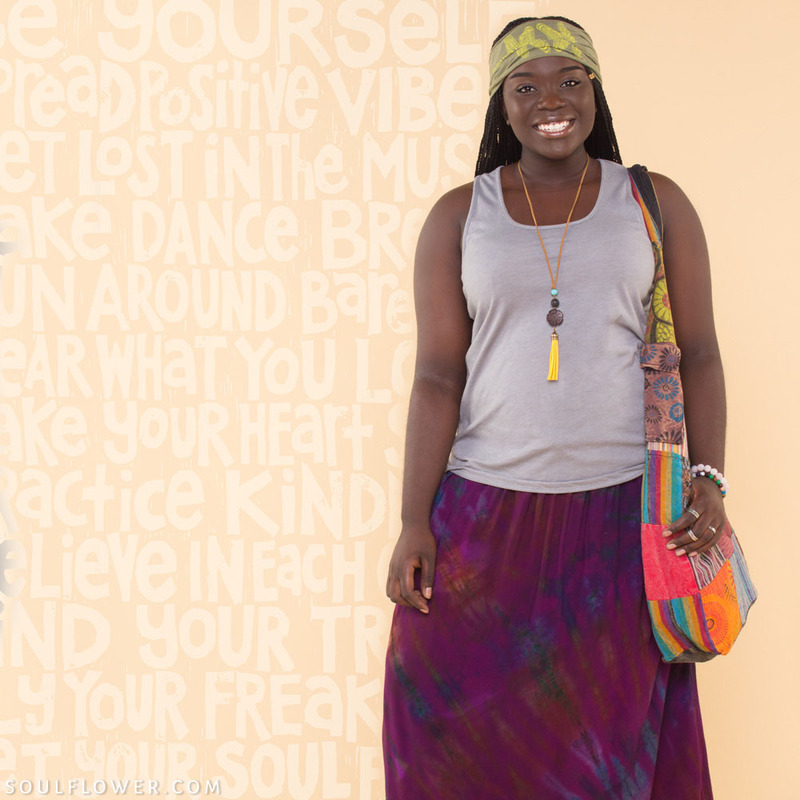 Anita is wearing our basic yoga tank, with our amazing plus size bell mudmee skirt, accessorized with one of our new bags and one of our classic headbands. Feeling the need to move, explore and adventure? 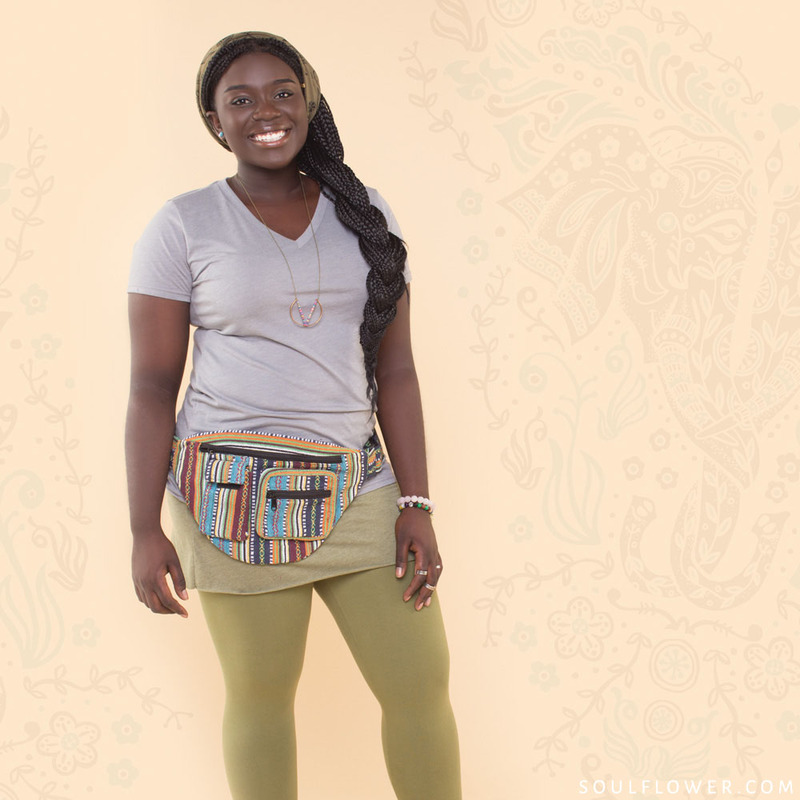 Complete this easy going basic v-neck tee, and skirted leggings with a super hands-free fanny pack. You’ll never lose your phone with it by your side all day! 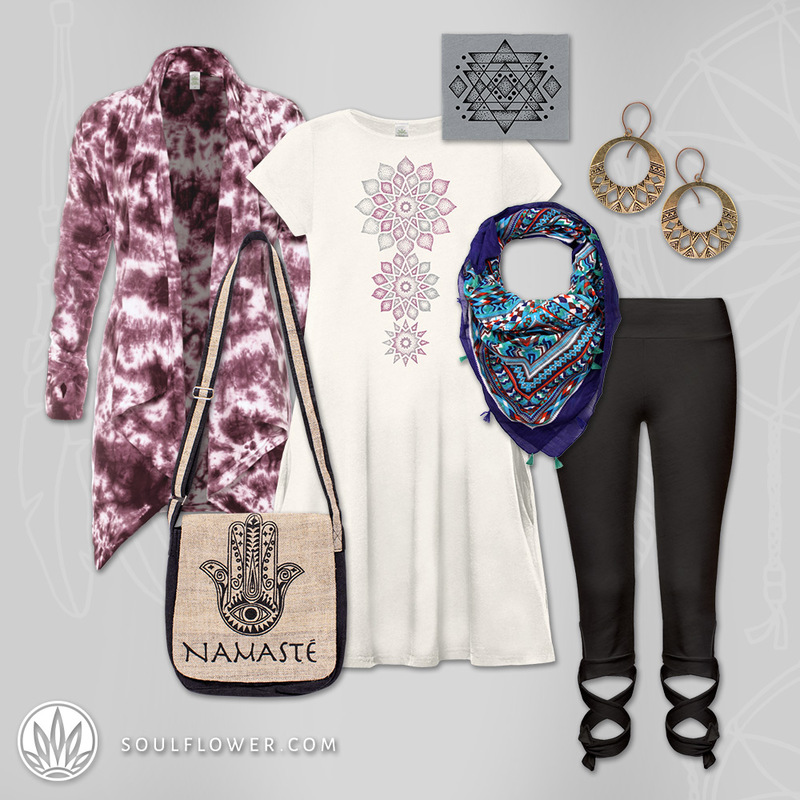 Looking for layers that go with the flow? Back by a HUGE demand, our waves of freedom pants go great with our open back tank, style with one of our strappy back bras for some drama in the back! Love carrying around color to share? 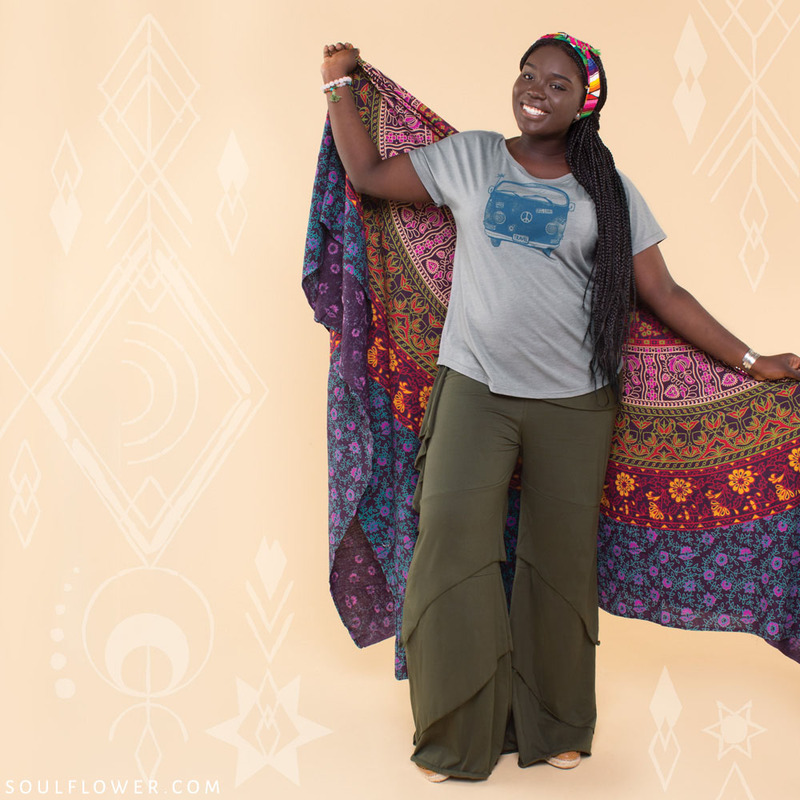 Pick up a tapestry that speaks your language of life, while rocking our festi waves pants and a comfy plus size graphic tee! You can chill on the grass for hours in this outfit. Morning yoga? Or need some mindful meditation after a few too many late nights in a row? Try our wrap leggings that you can dress up or down, along with our new ruched skirt for an added layer. 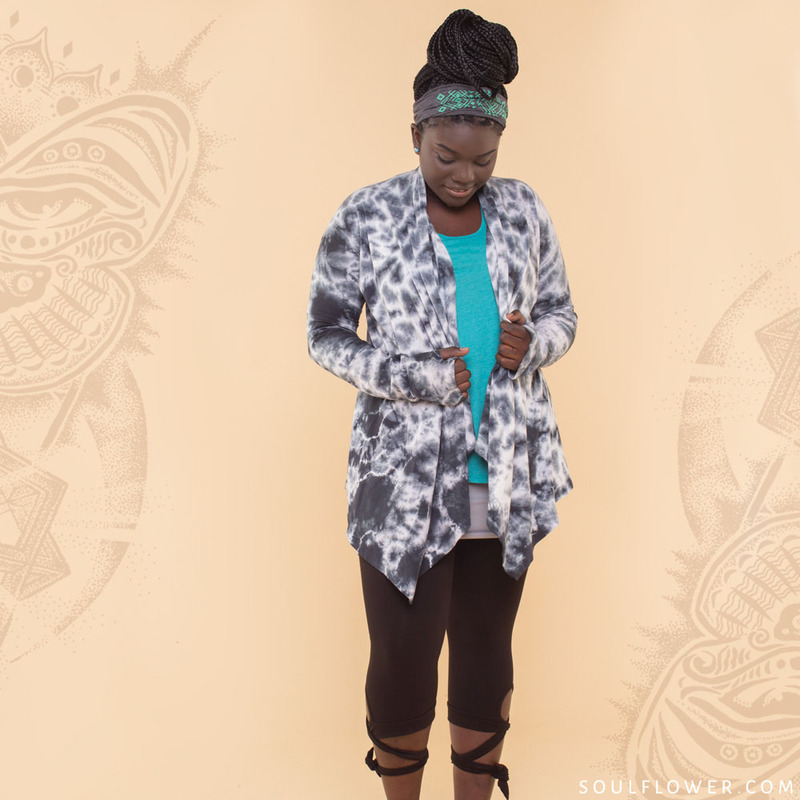 On top style with an easy tank and tie-dye cardigan if it gets a little cold while contemplating the universe. Breeze going through your hair kind of day? 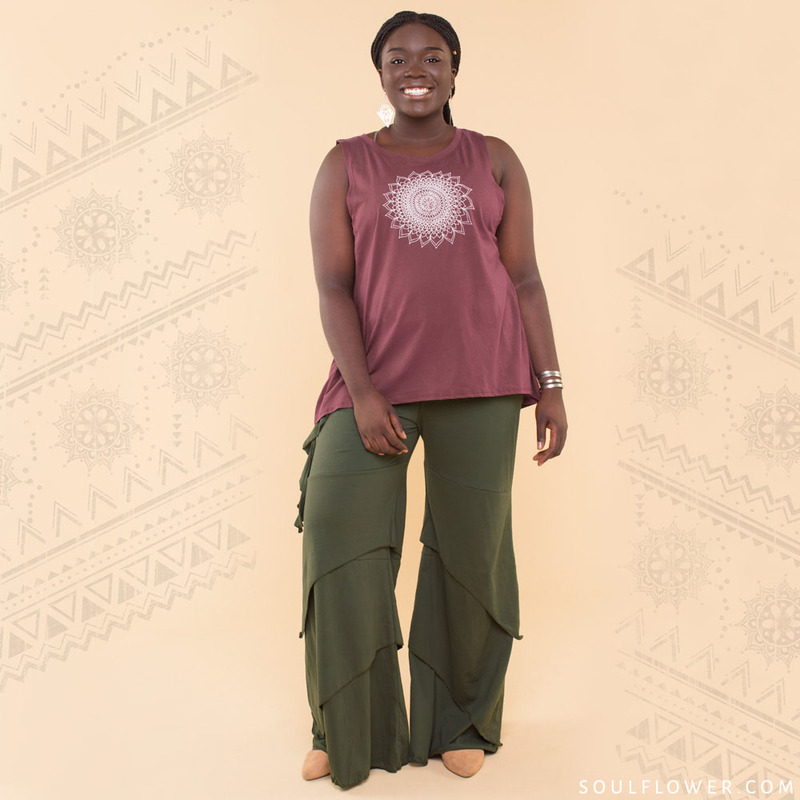 Grab one of our plus size boho tops for moving and grooving and pair with our wrap leggings! IT. HAS. POCKETS. I repeat this gorgeous carefree t-shirt dress has pockets. You can dress this outfit up or down. For the more relaxed outfit idea look below! 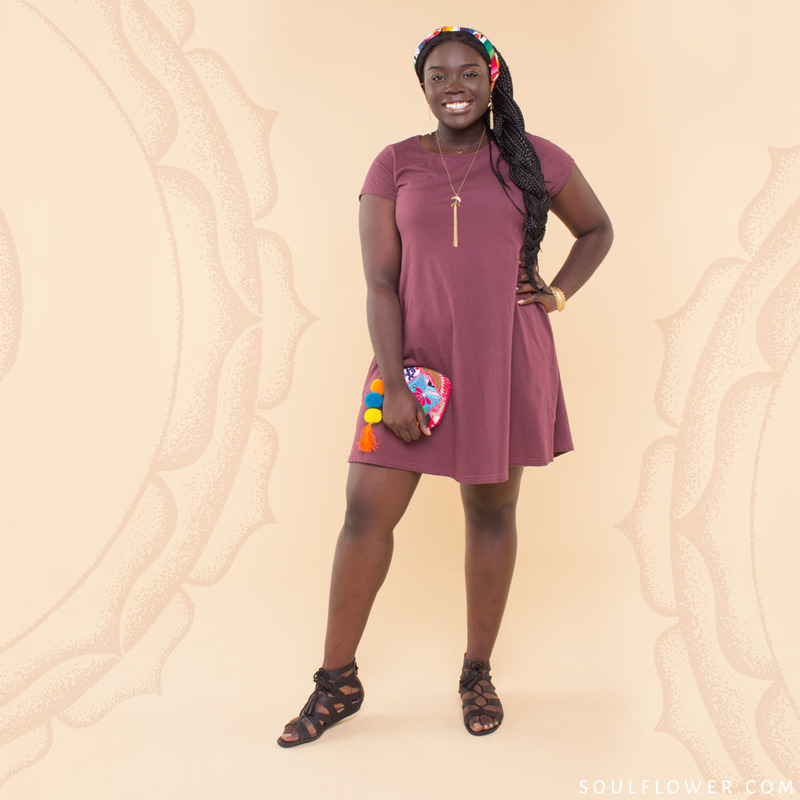 Anita is wearing our basic tee dress and is all made up with a boho clutch, jewelry and a woven belt that we’ve turned into a headband! Hope you’ve found some inspiration that vibes with you! Show your curves and keep dancing buds in our plus size festival clothing collection! 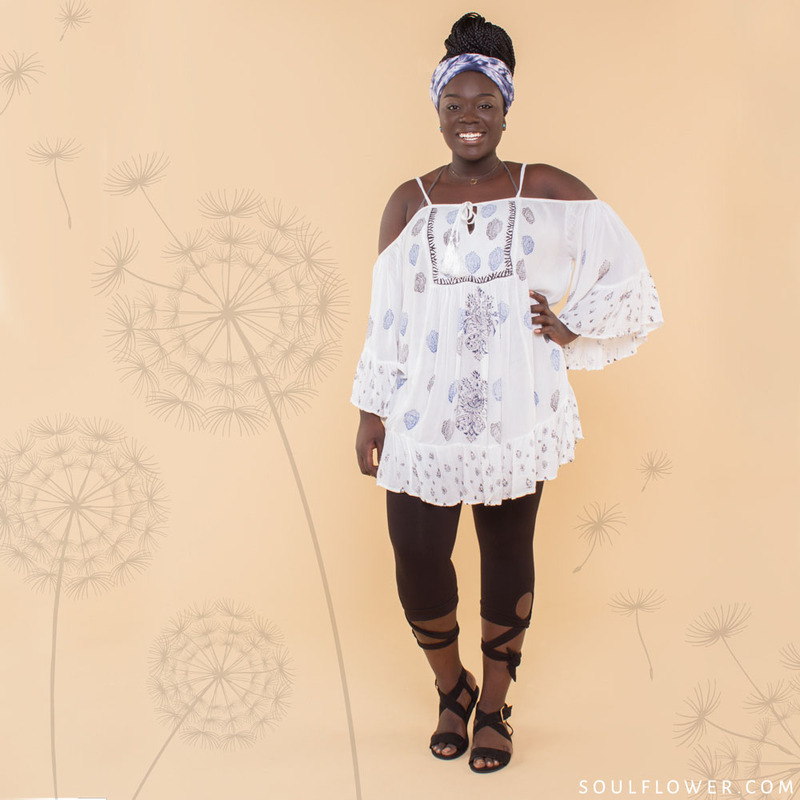 Love that you have cute festival style clothing in plus sizes, not to mention that they are so comfortable. Thank you for keeping curvy figures in style! Anita!!!! You rock!!! Thank you so much for posting Anita wearing outfits I had been dreaming of. Love my freedom pants!! Curvy girl power!!!! !